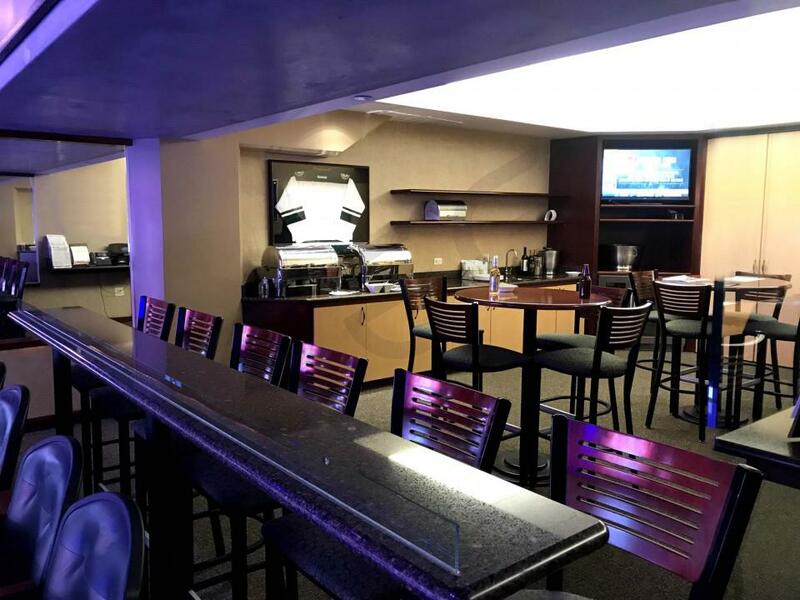 Prices typically range from $5,000 -$8,000 for Minnesota Wild suites. Prices vary based on day of game, opponent, and the location of the suite inside the Xcel Energy Center. Weekday games tend to be more expensive for Wild suites but the opponent will make the biggest difference. Luxury suite prices for concerts and other events at Xcel Energy Center can vary widely based on the type of event. 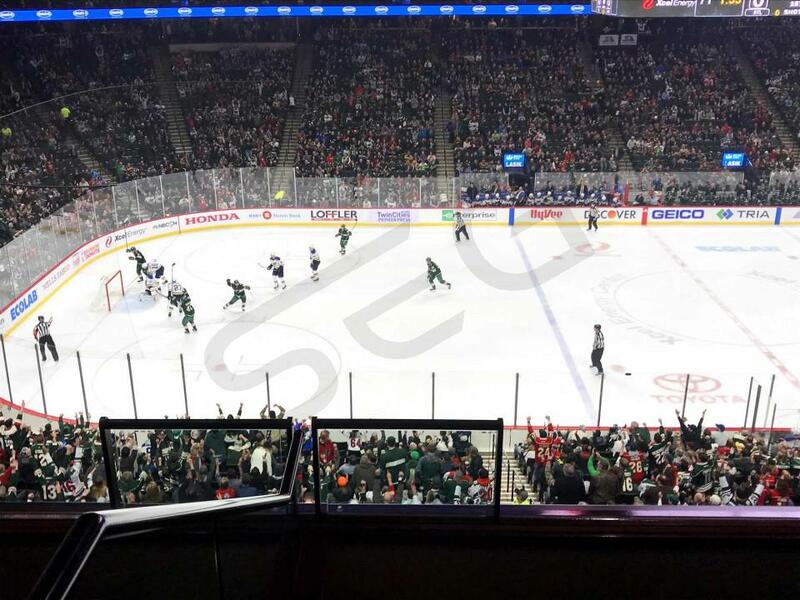 Minnesota Wild Executive Suites are the smaller of two suite levels at the Xcel Energy Center. Guests with a Minnesota Wild luxury suite will receive VIP parking and private entry into the Xcel Energy Center. Wild suite benefits include early access to your suite, exclusive access to the RBC Wealth Management Club Level. Xcel Energy Center suites will feature HDTVs, wifi, refrigerators, bar rail seating and premium seating on the suite balcony. The majority of suites at Xcel Energy Center hold 20 guests. Many groups with fewer attendees still choose to book a suite given the comfort and exclusivity associated with being in your own private luxury box. There is a great variance in suite cost at Xcel Energy Center. Third-party events such as concerts can run from $2,000-$10,000 per suite, while Minnesota Wild games can be priced between $5,000-$8,000 per game. Suite Experience Group can help you identify which events will fit your budget. In-suite catering is available in all suites at Xcel Energy Center. The menu includes a wide range of food and beverage options provided by the in-stadium catering group. 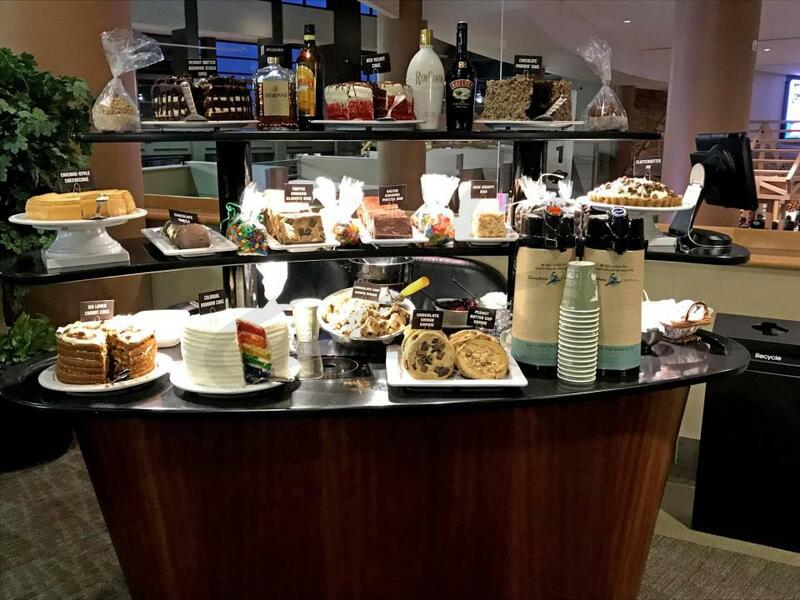 Most suites at Xcel Energy Center do not include catering in the base price of the suite, so be sure to allocate additional funds if you would like to have your suite catered. The average Suite Experience Group client spends between $1,500 and $2,000 on in-suite catering. The bill can go even higher depending on the group size and the amount of alcohol consumed. Suite Experience Group will provide a catering menu and advise on the appropriate budget and catering order for your group. Suite ticketholders have access to the Reserve Lounge on the Bremer Bank Suite Level. This is an upscale bar/lounge area where you can relax with your fellow guests and purchase food and beverage at your discretion. There is no right answer here, and it ultimately boils down to what others in your group will be wearing. If it’s a corporate event, many guests will likely be dressed in business casual attire. However, it’s not uncommon for guests to wear jerseys of their favorite player or jeans. The luxury suites at Xcel Energy Center are climate controlled and have a coat closet for storage. The Minnesota Wild enter the 2016 NHL Season as a playoff threat once again. New Head Coach Bruce Boudreau will rely on solid goaltending by goalie Devan Dubnvk. The Wild’s best offensive weapons are Zach Parise, Jason Pominville, and Mikko Koivu. Youngsters Jason Zucker and Charlie Coyle are maturing as players and factor in as legitmiate goal scorers. Offseason acquistion Eric Staal will bring a veteran presence and added goal scoring to the team. Once again, the team is captained by Mikko Koivu. Ryan Suter is one of the league's best on the blueline and he will anchor the Wild defense heading into 2016-17. Many NHL experts predict the Wild to be one of the stronger teams in the Central. If that’s the case in 2016-17, the Xcel Energy Center will be the place to be whether you are entertaining for business or for pleasure. A private luxury suite for a Wild game provides fans with a VIP experience unlike any other. A Wild suite will feature HDTVs, interior lounge seating, exterior premium seating, upscale furnishing, a dedicated suite attendant and in-suite catering options. A suite for a Wild game will also come with VIP parking, private entry into the Xcel Energy Center and exclusive access to VIP clubs inside the arena. The Minnesota Wild play in one of the toughest divisions in the NHL. The Central Division feature tough opponents like the Nashville Predators, Chicago Blackhawks and the St. Louis Blues. The Wild have one division title since entering the NHL in 1997. The Wild are led by head coach Mike Yeo and team captain Mikko Koivu. In 2015, the Wild’s best goal scorers are Zach Parise, Nino Niederreiter and Jason Zucker. The Wild’s assist leaders include Jason Pominville, Thomas Vanek, Mikko Koivu and Ryan Suter. Darcy Kuemper has been the Wild’s main goaltender this season. The Wild did with the Phoenix Coyotes to bring over goalie Devan Dubnvk. The Wild this season have been one of the NHL’s top power play kill units. The Wild will need to finish strong and beat out a competitive Western Conference to make the postseason. Minnesota Wild luxury suites provide the perfect setting for any occasion. So whether you’re entertaining for business or pleasure, your guests will get the ultimate VIP experience in a Wild suite. 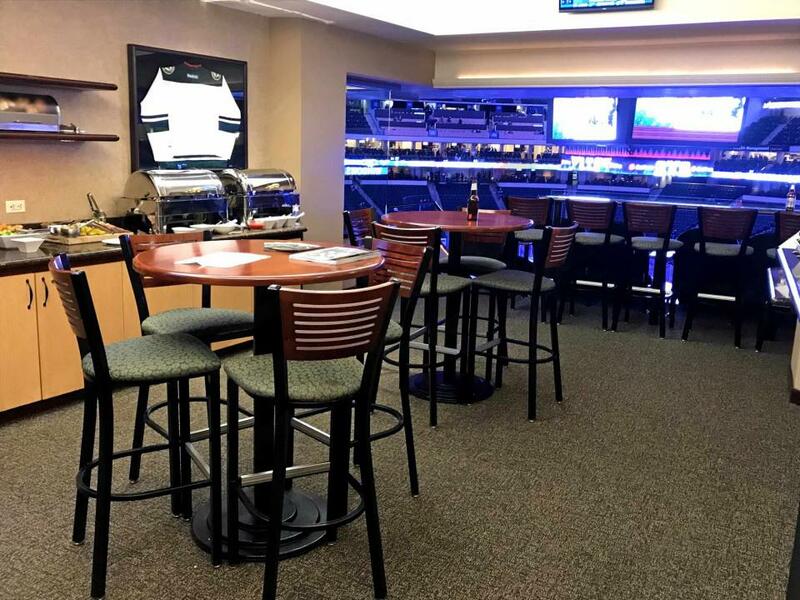 Wild suites at the Xcel Energy Center feature HDTVs, interior & exterior seating, upscale furnishing, a dedicated suite attendant and premium in-suite catering options. With your Wild luxury box you receive VIP parking and private entry into the Xcel Energy Center. Thank you for signing up for specials at Xcel Energy Center. Enter your email address below to stay in touch. We'll sign you up for our newsletter, which will inform you of the latest inventory and events at Xcel Energy Center. We promise we will never sell or distribute your information. 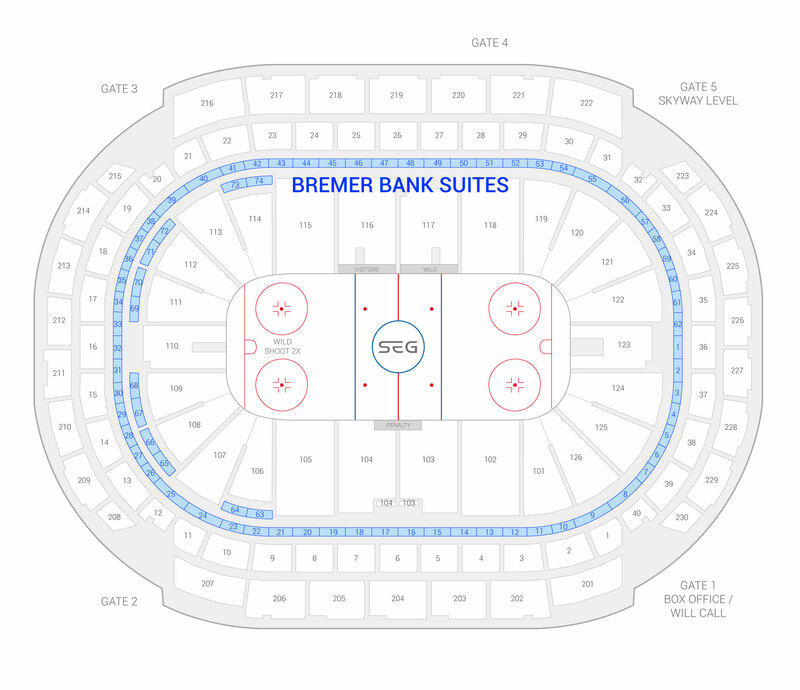 The seating chart below shows where the Minnesota Wild suites at Xcel Energy Center are located.